Only a few years ago, OpenStack was the hottest open-source project around, with a bustling startup ecosystem to boot. The project, which gives enterprises the tools to run the equivalent of AWS in their own private data centers, ran into trouble as it tried to tackle too many individual projects at the same time and enterprises took longer than expected to adopt it. That meant many a startup floundered or was acquired before it was able to gain traction while the nonprofit foundation that manages the project started to scale back its big tent approach and refocused on its core services. 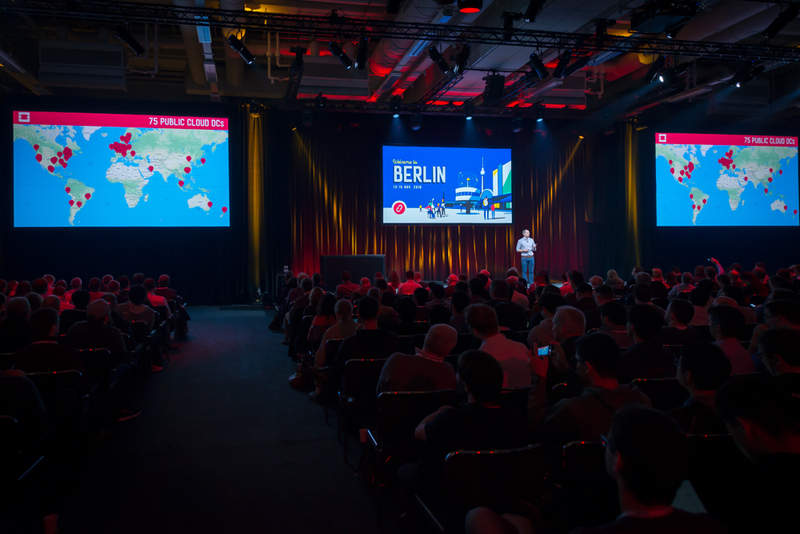 The height of the OpenStack hype was around late 2014, where even small startups used their copious venture funding to host lavish parties at the project’s conferences. But by 2016, it was deep in the trough of disillusionment as a number of major backers like HPE, Cisco and IBM started to sell off their OpenStack assets or reduce their involvement in the project, and some of the startups in the ecosystem called it quits. But something interesting happened after that. The OpenStack project moved along, fixed many of its problems and adapted to a changing world where everybody wants to talk about containers and edge computing. Today, it’s a stable system that’s the de facto standard for running private clouds. There’s very little hype, but now there’s lots of actual usage. Only a few years ago, there was plenty of hype, but you would’ve been hard pressed to find any major company that ran a significant OpenStack deployment in production. People who made an early bet on OpenStack and seemed miserable a year ago now have a bit of bounce in their step again. And lately, I’ve heard from a number of vendors, including the likes of Suse, that tell me they make more money from OpenStack now than at any time during the hype phase. Indeed, according to the Foundation’s latest stats, OpenStack users now use the system to manage well over 10 million cores of compute power. Stable systems are boring, though, and so it’s maybe no surprise that the OpenStack Foundation decided that it’s time to redirect some of its community’s energy to tackle some new problems, all with a focus on open source infrastructure problems, but without the requirement that they are tied directly to the actual OpenStack project. That’s a move that started more than a year ago and that’s now starting to take concrete form. 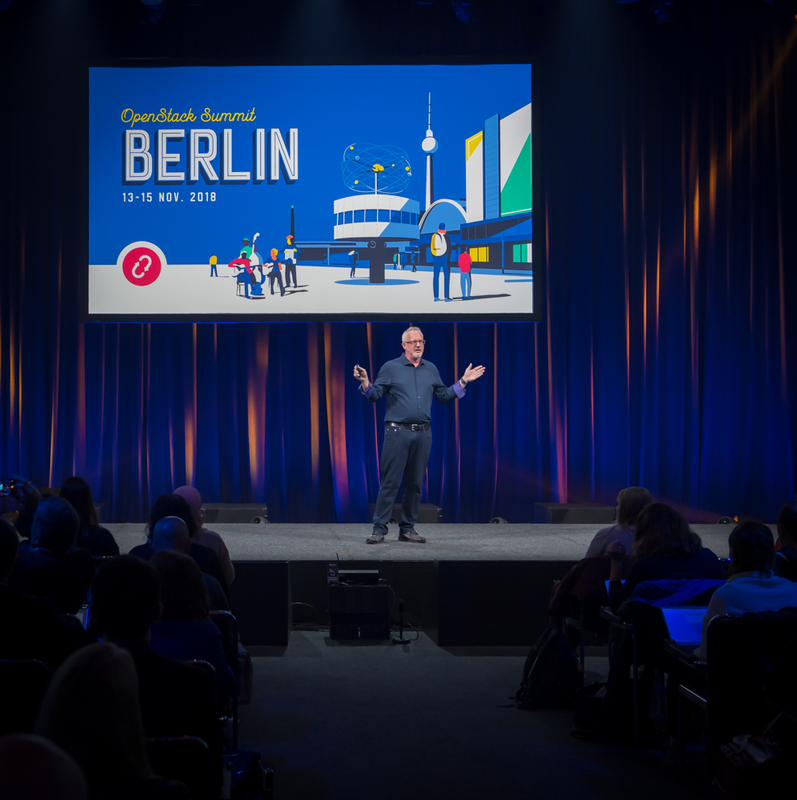 At the OpenStack Summit in Berlin this week, the OpenStack Foundation announced that this would be the last of its bi-annual conferences under this name. Going forward, it’ll be the Open Infrastructure Summit. For some, that was surely a major surprise — though the Foundation had been laying the groundwork for this for a while now. Don’t expect the Foundation itself to change its name, though. Just like the Linux Foundation is keeping its name even though it now helps manage a plethora of other foundations, the OpenStack Foundation isn’t about to spend a lot of money and energy rebranding. What is changing, though, is the nature of what the Foundation is doing. A board meeting earlier the week made official the Foundation’s process for adopting new projects outside of the core OpenStack project. There’s now a process for adding so-called “pilot projects” and fostering them for a minimum of 18 months. With this, the Foundation is also making it clear that its focus for these projects will be on continuous integration and continuous delivery (CI/CD), container infrastructure, edge computing, data center and artificial intelligence and machine learning. There are currently four of these pilot projects: Airship, Kata Containers, StarlingX and Zuul. The Foundation members are the first to acknowledge that there are still details that need to be worked out — and that will take a while. Canonical founder Mark Shuttleworth has a slightly different opinion about the current direction of the Foundation, though. He seems to be worried that the focus on multiple projects will take away from the core OpenStack project. “OpenStack suffered when there wasn’t clarity about the mission,” he said. “And I hope that in broadening the scope of what they as the Foundation want to worry about won’t confuse people about OpenStack.” Today, he believes, OpenStack is in a good spot because it delivers on a specific set of promises. “I would really like to see the Foundation employ the key contributors to OpenStack so that the heart of OpenStack had long-term stability that wasn’t subject to a popularity contest every six months,” he added. Interestingly, much of the interest in OpenStack today is in China. The U.S. market for OpenStack, on the other hand, is still growing, but at a far slower pace. Collier attributed the success in China to the fact that the country has massive infrastructure need and that it has embraced open source. “If you have those two criteria, you’re going to run OpenStack like crazy,” he said. “What else are you going to run?” He did add, though, that the Chinese government has also gotten involved in evangelizing technology standards and that many a group in the government has identified OpenStack as one of those. 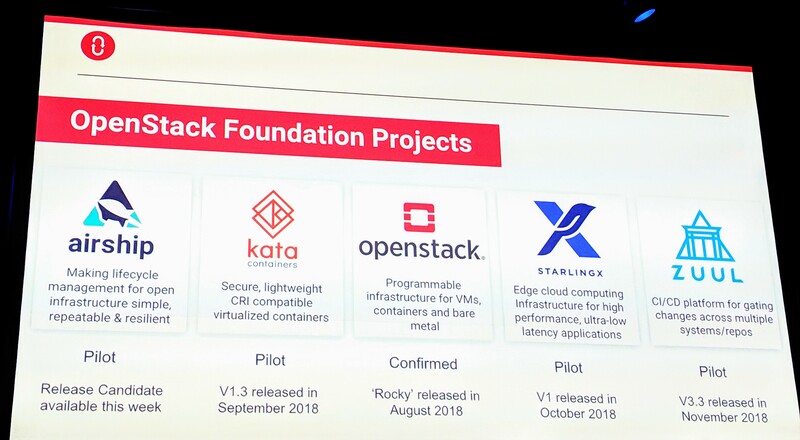 While OpenStack feels like it’s back on track, though, this move to broaden the Foundation’s scope also sets it up for some competition with the Linux Foundation, and especially the Cloud Native Computing Foundation, which it manages. A number of pundits at the event were surprised that Ceph, an open-source storage service that’s at the core of many major OpenStack deployments, as well as container-based platforms, formed its own foundation under the Linux Foundation earlier this week. He also noted that he never saw a user who cared whether a project lived in the Apache Foundation or the Linux Foundation, for example. What matters instead is the community around a project. He did acknowledge, though, that the foundations that manage projects obviously matter — and that this is important enough that the OpenStack Foundation is changing to accommodate the projects that would be a good fit under its auspices. No matter how this will eventually play out, though, it’s been interesting to watch the journey of OpenStack over the last few years. When I first really started paying attention to it, it was at the top of the hype cycle. Those parties were fun, but OpenStack hadn’t proven itself. Then, the approach of bringing in lots of projects started to muddle the project’s mission and, at the same, the startup ecosystem began to flounder as enterprise adoption materialized at a glacial pace. Some companies, like Mirantis, had raised enough money to hang in there, though, and those are now finally reaping the rewards. What didn’t go away, though, was the community that built the project, and many of the large corporate backers. In part, that’s because more use cases for private data centers have emerged. 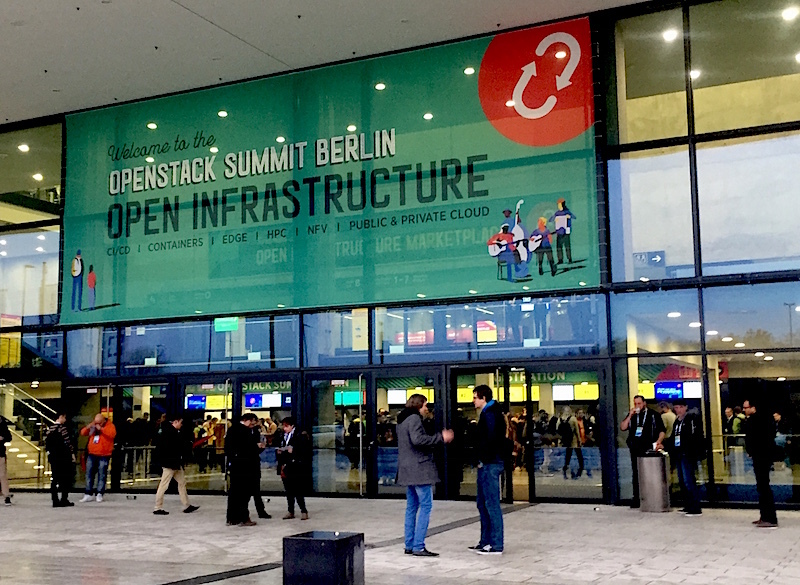 Telcos, banks and others are betting on those — and there are simply no real alternatives to OpenStack for them. Today, OpenStack itself is frankly boring. There are no major new features. Nobody is pumping a lot of money into the OpenStack ecosystem. But the enterprise world is just fine with that, because those companies aren’t betting their business on OpenStack because it’s the cool new thing. At the same time, the OpenStack Foundation is also reinventing itself to react to the needs of its community. And as new projects emerge, maybe the hype cycle will start over again.